In really near suburbs you can find pretty cheap but still big enough apartments. 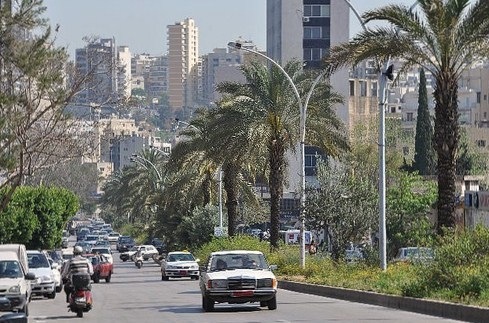 Ain el Remmaneh for example is 5 or 10 minutes away from Ashrafieh, depending on where in this area you live (if there is a lot of traffic, it could take you 30 or 40 minutes depending on where you want go in Ashrafieh cause it is a big area). Other than Ain el Remaneh, you have Badaro (slightly more expensive), Furn el Chebbak, Sin el Fil and Ras el Nabeh/Sodeco. Was it a priority? I would have preferred to have the public transportation improved, however, a big tabbooleh plate does not prevent the authorities rfom fixing our roads. Was it worth it? A new entry in the Guiness book, walaw! And economical gain, resulting from the branding of Hummus and Tabbouleh as Lebanese. TheCedarTree considers this food contest ridiculous, Rami thinks it is habal, Maya that it is pointless, adiamondinsunlight bizarre. What did Fady Abboud, president of The Association of Lebanese Industrialists have to say?